These dramatic drop earrings have a fun modern feel with an Art Deco twist.Made from 14k Yellow Gold Fill wire, hematite disc beads. 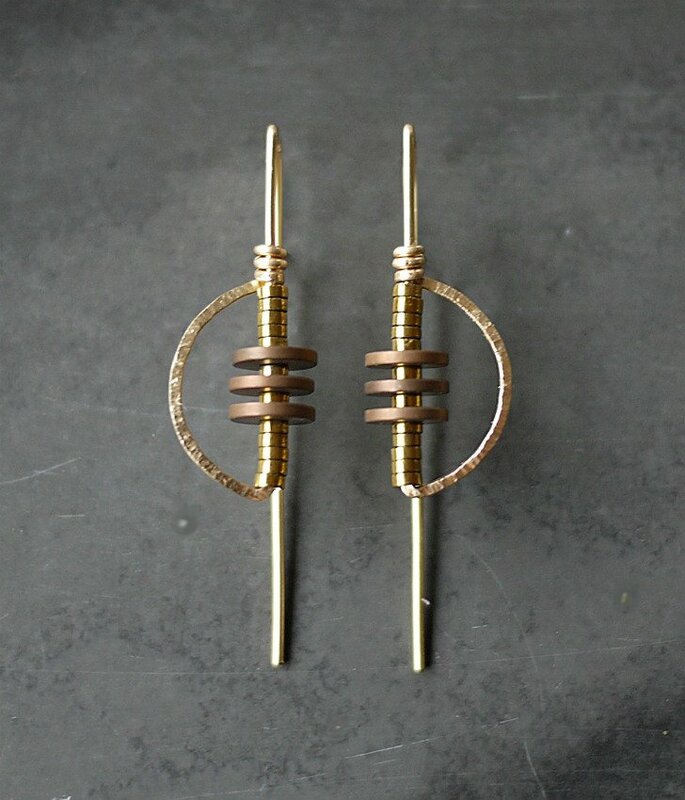 The wire has portions that are hammered to give the earring a unique combo of texture and smooth. 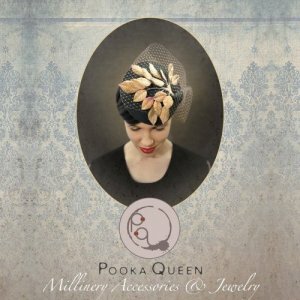 Earring length: 1 5/8"Living and working in Ann Arbor, MI Brianna Kenyon is the owner and designer of Pooka Queen. Using a variety of beads and metals, Brianna fashions wonderfully wearable jewelry with real style and quality. She hand selects her stones and gives many of her metal finishes a hand hammered texture. As well as natural stones, she uses dyed hematite beads throughout her line.